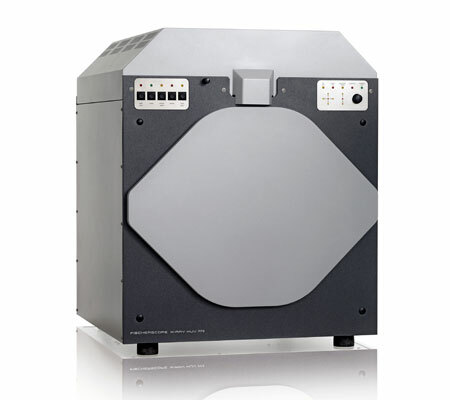 Wafer Coating Thickness Measurement Instrument - Fischer Measurement Technologies India Pvt. Ltd. Wafer coating thickness instrument - XUV 773 is one of the most preferred selections of clients owing to its precise design and outstanding accuracy. These are high performance X-ray fluorescence measuring instrument with vacuum chamber for non-destructive coating thickness measurement and material analysis. Engineered in accordance with international industrial standard, these devices are widely used for non-destructive analysis of thin coatings, traces and light elements. Up to 24 elements in the range of sodium (11) to uranium (92) can be determined simultaneously. Ergonomically designed these devices also provide facility for the measurement that it can be performed in vacuum, in ambient air or with helium purge (optional). Therefore also organic or wet samples can be analyzed. coatings, small structures, trace elements and alloys. Element range:Sodium Na (11) to Uranium U (92) – up to 24 elements simultaneously. Design:Bench top unit with motorized opening cylindrical vacuum chamber. High resolution color video camera with a wide magnification range. Measurement spot:Depends on measurement distance and used aperture. Real spot size is displayed on the video screen. Smallest measurement spot: approx. Ø 0.15 mm (5.9 mils). an additional calibration might be necessary. (class 1) to support accurate sample placement. to the German regulations „Deutsche Röntgenverordnung-RöV“.